This first class hotel is ideally situated for visitors to the area. 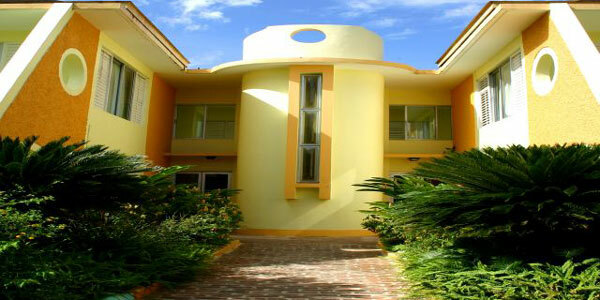 It has a welcoming atmosphere that emphasizes friendly asnd hospitable service. The hotel has excellent facilities as well as comfortable guest rooms and public areas. All of the guest rooms are comfortable and nicely equipped to give a feeling of being home while away from home. The hotel also has a variety of facilities and services that are sure to meet the needs of both business and leisure travellers. All rooms have air conditioning, cable television telephone and rent-a- safe. The majority of rooms also have balconies. Rates are listed in USD. Please add an additional 10% for service charge and 10% for G.C.T. to rooms. Children - Under 12 sleeps free in same room with parents. Maximun 2 - Breakfast US$5 per child.